The first show Gracey performed with DW drums was March 12 at the Roxy Theatre in Los Angeles. Both +LIVE+ and Bush played at a private event pegged to the recent announcement that both groups will co-headline arenas and amphitheatres this summer celebrating the 25th anniversary of their respective landmark albums (Throwing Copper and Sixteen Stone). Billed as The ALT-IMATE Tour, it kicks off June 6th in Mashantucket, CT with stops in Boston, Los Angeles, Atlanta and more before wrapping September 8th in Rochester, MI. 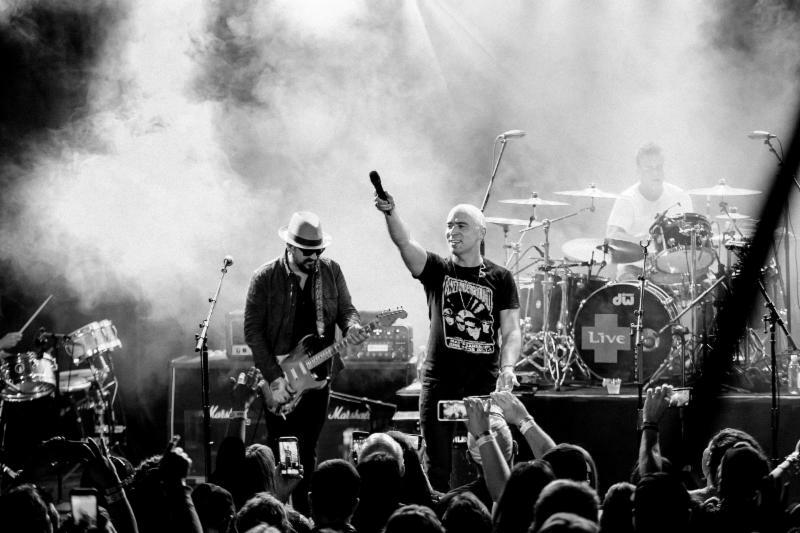 +LIVE+, the multi-platinum band from Pennsylvania–Ed Kowalczyk (vocals, guitar), Chad Taylor (guitar, backing vocals), Patrick Dahlheimer (bass) and Chad Gracey (drums, percussion)–have sold over 22 million albums worldwide and earned two number one albums (Throwing Copper, Secret Samadhi). Their catalog is filled with such gems as “Lightning Crashes,” “I Alone,” “All Over You,” and “Lakini’s Juice,” which live on today as classics at rock radio. Throwing Copper–which is being celebrated in 2019 with a new deluxe 25th anniversary edition via Radioactive/Geffen/Ume–produced the band’s biggest single, “Lightning Crashes,” which was #1 at Modern Rock radio for 10 consecutive weeks. Throwing Copper reached #1 on the Billboard Top 200 and eventually surpassed sales of 10 million albums sold with Rolling Stone honoring the album with placement on their list, “1994: The 40 Best Records From Mainstream Alternative’s Greatest Year.” Secret Samadhi (1997) immediately shot to #1 on the Billboard Top 200 and eventually went double platinum. The release of the platinum-selling The Distance to Here (1999) turned +LIVE+ into an international powerhouse and moved the band from arenas into stadiums. +LIVE+ has been and remains today a global concert juggernaut. 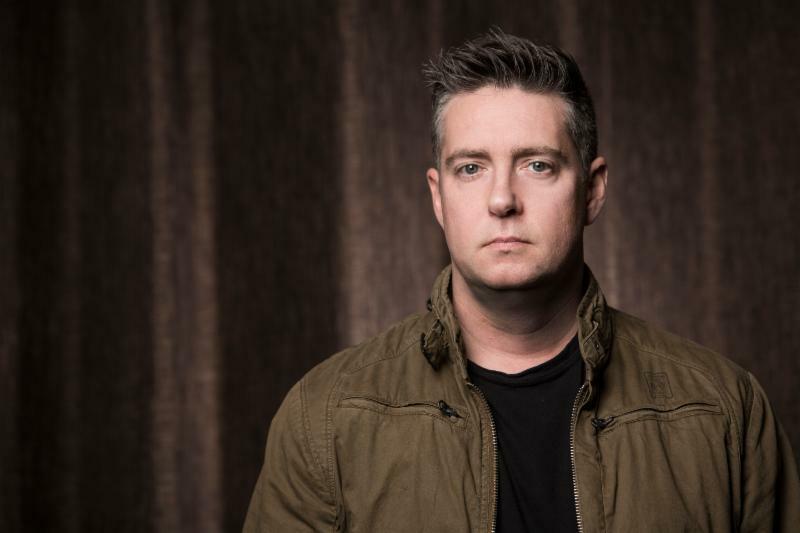 The band released an acclaimed five-song EP in 2018, LOCAL 717, their first new music in over a decade. Founded in 1972, Drum Workshop, Inc. is a family-owned and operated musical instrument company best known for designing and manufacturing award-winning drums, pedals, hardware and accessories under the DW® and PDP® banners. In 2014, the company expanded to include other iconic American instrument brands including Gretsch® Drums, Latin Percussion®, and Ovation® Guitars. DW’s wide range of products is endorsed by many of the world’s top artists including: Neil Peart, Phil Collins, Chad Smith, Sheila E., Melissa Etheridge, Richie Sambora, Mick Fleetwood, Taylor Hawkins and Dave Grohl among others. Drum Workshop, Inc. is headquartered in Oxnard, California. For more information, visit www.dwdrums.com. Follow us on Facebook and Twitter.